I Just Listed My Home for Sale - What Happens Next? I Just Listed My Home for Sale – What Happens Next? After You Sign the Listing Agreement – Now What? What is your REALTOR doing for you? Selling your home can be a stressful endeavor. There are so many details involved and major decisions to be made. As a home owner you need to figure out who to trust to market your home and then get it ready for selling. While you are not totally convinced on the best way to choose an agent, a decision is usually made the agents presentation, experience and a gut feeling that you are making a sound decision. You want an agent that can guide you in the process and get the job done. 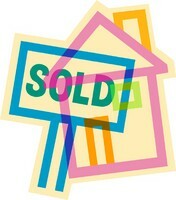 Once you have established who should list your home the process of selling your home begins. Going forward what can you expect? Your agent has already spent a good deal of time with you to help you with pointers on how to get your home ready, proper pricing and has taken some pretty awesome photos to highlight the best of what your home has to offer. Now the real work begins. Marketing your home is what a good agent does best. It is not only about taking a few photos, putting up a sign and then entering data into the MLS. That is definitely part of the process, but it takes hard work to make your home stand out from the rest. 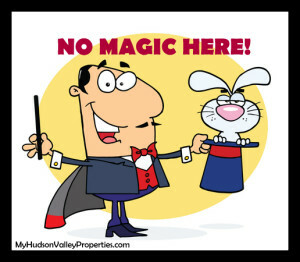 A good agent makes it look easy, but there is absolutely NO magic involved! My routine may be a bit different than the next, but like other agents, I do start with the basics. With your listing agreement in hand I walk out the door and begin the process of getting your home in front of as many eyes as possible. Data entry is where the process of a brand new listing begins. As your real estate agent I am entering accurate data, proper advertising copy, and edited photos on your home in multiple places online. It is then syndicated to numerous other data bases to make sure it has maximum exposure. I highlight your home on my own website providing additional traffic to many locations. Believe it or not the sign in front of your home plays a big roll in getting your home attention. While your neighbors are not the ones that will buy your home, they do talk to other people. Along with the sign, I put a lockbox on your home for access of showings. What else can you expect at this time? You will see your listing show up in many places on the internet. The photos will reflect what your home actually looks like. No “fisheye” quality photos needed here, as buyers are always disappointed with the size when they come to view your home. While the photos do reflect the best parts of your home, they should not misrepresent what the buyers will see when they visit. The next part of getting the information out to potential buyers comes from networking, and many venues are used. A brokers open house, post cards and social media. Getting out the word takes time and energy. It is not a passive job. Marketing requires constant monitoring and adjustments to evaluate if the listing is being seen. Will you as the seller see much of this action? Not really, as much of it is behind the scenes. I like to provide my sellers with links to some of the online info. It is only a small part of what is truly online. Showings – Depending on your price point, and local market it can take a few hours or a few days to get a showing scheduled. The recommendation is for you to be out of your home during any and all showings. Pets are best removed from the home too. A lockbox has been placed on the home so that agents can get in when you are not there, making the showing easy for everyone involved. Your job during this time is to keep your house as tidy as possible so that your home shows well each and every time, even on short notice. Feedback – After a showing feedback is requested from the buyers agent to find out what a buyer liked or didn’t like about your home, and if they are possibly interested in purchasing the home. While some agents fill out the form, others don’t. I follow up with phone calls to discuss the showing with all agents. Agents however are not required to provide any info to me. Many never answer and many don’t take the follow up calls. Is this unprofessional? Not really. The lack of any feedback tells me that they are NOT interested. More importantly, if they were to make an offer, that is what truly matters. No offer means they are not interested in purchasing the home. While I am working for my sellers, the buyers agent is working for their clients. Feedback can cross that line if a buyer is thinking about putting in an offer, but not yet ready. Once an offer is on the table from a potential buyer, the negotiation phase gets underway. Paperwork is presented from the buyers agent to the listing agent. All offers are then presented to you, the seller. We work together discussing all the details of any offer and possible negotiations to obtain a highest and best offer. An accepted offer can take a few rounds of dialogue and sometimes a few days. After that phase, the work is still not done. Home inspections are next on the agenda. This is the part of the process that makes many owners very nervous. Owners need to be out of the house while this takes place. The home inspector does a complete visual inspection of the home. All mechanicals are turned on for evaluation. Inspectors take photos and write down details of anything they find. Safety problems are noted. After the home inspection is complete buyers can and do ask for repairs, or financial compensation for problems found. This is a second round at the negotiation table if there are major problems. Most owners will fix safety issues or minor problems. Everything else is up for negotiation. After home inspections comes contracts. You can expect that your agent will be forwarding all the proper documents of the deal to your attorney for review, and to draw up the contracts. Your attorney will discuss the details with you and then forward contracts to your buyers attorney. Once the buyers sign them they are returned to your attorney with the down payment and for your signatures. When that is completed, you are now Under Contract. All showings usually stop at this point in time.Is this the time to relax? Not really, as you now need to pack. Your buyers have a specific date in mind to move in. They have contracts, so now they are rapidly pursuing their mortgage. The next visit to your home will be the bank appraiser. It is a short visit, and you don’t need to be home. The buyers agent is the one that usually meets up with them for access. Once that is complete the info goes back to the bank. During the appraisers visit, they don’t provide any info on the value at that time. On average it takes 45 to 60 days from contracts to a closing date. As your agent, coordination is ongoing with your attorney, appraisers, bank people and the buyers agent to monitor the progress. There are many things that can delay the process, but we like to keep things moving as quickly as possible with follow up. During the waiting time is when you as the seller need to get ready to move out. Sorry folks, I don’t help you pack your things. I will be checking in with you to make sure that you are packing up. If you need help with locating a storage facility or a moving company we can help with that too. A final walk through is done right before closing. It is usually hours before the closing. Two things to remember at that time. If the contracts had specific agreed upon repairs, the buyers will look to see that they were done. The second is that the home remains in the same condition that it was when they signed the contracts. Remember to keep the home looking good and you must continue to maintain the home. When listing and selling your home you should expect on-going communication with your agent. This will help to understand what is happening next and what to expect. Every deal has its own set of circumstances and unique needs. This article is an overview of the basics. Magic? Absolutely not! To get to the closing table it takes time, hard work and knowing what to do when things don’t go as well as planned. No magic involved! The goal? Your home SOLD!